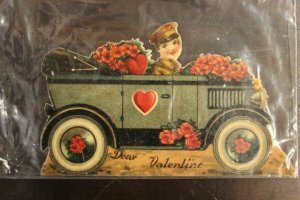 Named in 2006 by Martha Stewart Living magazine as a top spot nationally for antiques and collectibles, Heart of Ohio Antique Center is a frequent destination for antiquers from Japan, in particular, in addition to a growing number from China. An estimated 200,000 people each year pass through Heart of Ohio’s doors. At 116,000 square feet, the 14-year-old business at the Interstate 70/U.S. 40 interchange employs 48 people, and is touted as the nation’s largest antique mall. Our guests come from throughout the United States, calling our comfy inn "home" for days at a time, among them are antique dealers and serious collectors. Our elegant Victorian accents, country surroundings, and mountain-lodge feel will certainly add to your antique-shopping experience. Frequently "Early Bird" antique shoppers check in the night before the Antique Extravaganza opens in order to swoop n' scoop. They arrive there early when the show opens, get the best selections, and return home with their "trophy" finds! Typically a 2 or 3 day stay is the norm for dealers. Other sizable antique dealers in Springfield, Ohio include the 46,000-square-foot Springfield Antique Center and the nearby I-70 Antique Mall on South Charleston Pike. With the Heart of Ohio Antique Center, the Antique Extravaganza (Antique Show Dates), the Springfield Antique Center, and the I-70 Antique Mall about 17-18 minutes from your doorstep at Hearthstone Inn & Suites, why not make your antique adventure even MORE memorable and stay at Hearthstone Inn & Suites? Christmas at Historic Clifton Mill is a winter wonderland with more than 3.6 million lights! The tranquil setting along the Little Miami River is, with the flip of a switch at precisely 6:00 p.m., transformed into a brilliant, dazzling display of lights, sights and sounds from every direction to create the Annual Clifton Mill Outdoor Lighting Display. During this time, you'll discover an outdoor whimsical, miniature village around which a model locomotive travels, Santa sails through the air with his sleigh, and 1950's cars sit at the drive-in watching a 1950's film on a miniature screen. The extraordinary extravaganza runs nightly from the day after Thanksgiving 6:00 p.m. to 9:30 p.m. until January 1. Even during the warmer season. Clifton Mill remains a place that all history buffs need to check out. 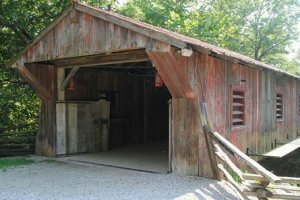 Located close to Clifton Gorge in Southwestern Ohio, a visit to this area is perfect for combining some hiking at the Gorge and John Bryan State Park, along with a meal at Clifton Mill’s restaurant. Hearkening back to the first days of Ohio statehood, the first mill in Clifton was built way back in 1803. 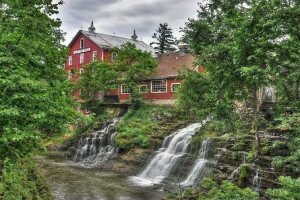 The mill is the largest remaining water-powered gristmill in the United States and stands five-stories tall. Step into the Millrace Restaurant to rest a bit, have a steaming cup of delicious hot chocolate and snack. The buckwheat pancakes are amazing, so large in size that they virtually cover your plate! Afterwards, stop by nearby Yellow Springs to walk off lunch or travel down the road 5 minutes towards Young's Jersey Dairy on U.S. 68. where you can indulge in an ice cream fantasy, play mini-golf, enjoy a driving range to improve your swing, or let the kids feed some goats. The Historic Clifton Mill is just 5 minutes down the road from Hearthstone Inn & Suites, Cedarville, Ohio. Ohio's Miami Valley area offers both beautiful open road/back road cycling, as well as a wonderful system of recreational trails to its residents and visitors. Over 250 miles of delightful, invigorating trails stretch across five counties, crossing a variety of terrains. The Little Miami Bike Trail system is primarily a fully-paved, former railroad bed. For maps and more information about Miami Valley bike trails, check out our Bike Trails page. At Hearthstone Inn & Suites you're right in the center of an antiquer's paradise! Just 15 minutes north takes you to the Springfield Heart of Ohio Antique Center and several other antique "mega-malls". The next day, drive south about 23 minutes to historic Waynesville Ohio, the "Antiques Capital of the Mid-West", which features shop-after-shop-after-shop of antique stores galore. 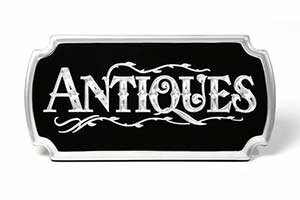 Conclude your day of antiques exploration in Waynesville or Springfield, Ohio with a relaxing evening right here in Cedarville at one of our cafes, go out for a pizza, or just kick back in your room. Pop a bowl of popcorn and wander into our Courtesy Room where you can play a table game, or watch a video or catch the latest sports action on a big-screen TV. At the end of the day....pleasant dreams and we'll see you at breakfast! 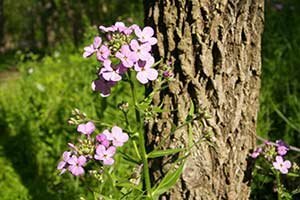 Here in Cedarville, stop by the Indian Mound Reserve for an easy 45-minute walking hike through land where Shawnee roamed and ancient tribes constructed one of Ohio's many "indian mounds". A level and easy hike, Indian Mound Reserve features both the mound as well as a limestone gorge, a waterfall, and delighful flora/fawna in the Spring. It will give you just enough fresh air and exercise to make you smile! Five minutes down Route 72 and west on Rt 343 you'll happen upon Clifton Gorge, nestled within the area of John Bryan State Park. 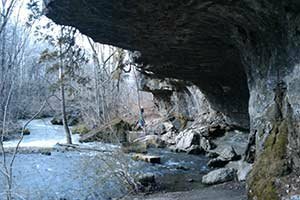 Hike along the Little Miami River while limestone cliffs, carved out by glaciers millenia ago, tower high above you on the trail. This is an easy-to-moderate level-but-winding trail hike. Very refreshing! Travel the Little Miami/Ohio-to-Erie Bike Trail (it runs right alongside Hearthstone Inn & Suites) and journey by pedal-power to many of the small towns and which once welcomed generations of railroad passengers. Bike to the Village of Yellow Springs for a day perusing the shops, then top it off with an early dinner at one of several unique Yellow Springs restaurants. The distance from Yellow Springs to Cedarville via the Little Miami Bike Trail system is about 20 miles. Take a thrilling, refreshing canoe ride down the Little Miami River with River's Edge Canoe Rentals (937) 862-4540. At the end of your day, kick back in your cozy Hearthstone Inn & Suites Jacuzzi King Suite, order a local pizza, and watch a complimentary DVD movie in your room! Ahhh....what a day! Don't miss the national Museum of the United States Air Force! The National Museum of the United States Air Force is the world's largest and oldest military aviation museum. The museum welcomes more than one million visitors each year and boasts 17 acres of indoor exhibit space, more than 360 aerospace vehicles and missiles, and thousands of artifacts. The NASA Space Shuttle Crew Compartment Trainer (CCT) arrived at the National Museum of the U.S. Air Force in August 2012. The CCT will initially be placed on display in the Cold War Gallery before becoming a major exhibit component of the Space Gallery in the museum's planned fourth buidling. Plans call for the museum to build a full-scale mock-up of the payload bay and develop other new exhibits with an emphasis on science, technology, engineering and math (STEM) programs. 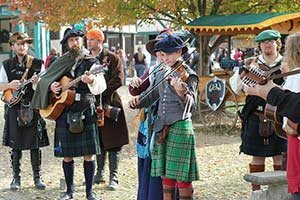 Enjoy the "lighter side" of history in the fall season as the Ohio Renaissance Festival opens the last weekend of August through the third weekend in October! 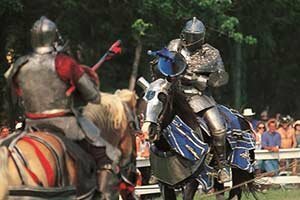 Jousting knights, period musicians, peasants and princes, hoopla and hilarity, magicians and merriment. Oh, and don't forget to get your roasted turkey leg! Discounted tickets are available through Hearthstone Inn & Suites. The Ohio Renaissance Festival is located in Harveysburg, OH, about a 25 minute country drive from your comfortable room! The National Afro-American Museum & Cultural Center in Wilberforce, Ohio, aims to educate the public about African American history and culture from African origins to the present through a variety of programs, including museum exhibits and research. Located in Wilberforce, Ohio, the museum's mission is to promote a greater understanding and awareness of African American culture and history. A career U.S. Army officer, Col. Charles Young was born into slavery in Kentucky in 1864. He was the third African American graduate of West Point, the first black U.S. national park superintendent, the first African American military attaché, and the highest ranking black officer in the United States Army until his death in 1922. He also taught military science at nearby Wilberforce University. Both the National Afro-American Museum & Cultural Center and the Charles Young Buffalo Soldiers National Monument are located just five (5) minutes from Hearthstone Inn & Suites on U.S. Rt 42 near Central State University, Wilberforce. 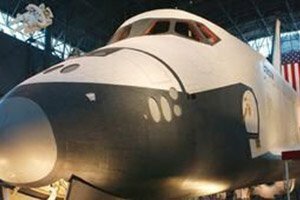 The NASA Space Shuttle Enterprise orbital crew compartment trainer is scheduled to be on full exhibit and display beginning 2015 at the National Museum of the United States Air Force. The museum is located just 25 minutes away from Hearthstone Inn & Suites. The above photo shows the Space Shuttle Enterprise on display, anticipating its new home. Preparations for the new crew compartment trainer exhibit are underway, the contract having been awarded to Ohio-based Display Dynamics Incorporated. Millions of visitors are expected each year from around the midwest to see and experience the NASA Space Shuttle Enterprise crew compartment trainer, and Hearthstone Inn & Suites is ready to provide the some of the finest accommodations available in the Dayton, Ohio area. What exactly IS the trainer? For a full description of this exciting addition to the National Museum of the United States Air Force, click here. So, if you are looking for Dayton Ohio hotels and motels for lodging during your "Space Shuttle Adventure" - look no further! Here at Hearthstone Inn & Suites, we'll have plenty of "space" for you! 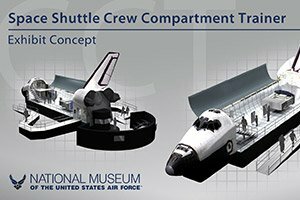 Read the latest from the National Museum of the United States Air Force regarding the Space Shuttle Enterprise crew compartment trainer (CCT-1) here.